Do you love your indoor pets but hate having hair around the house? Choosing the right pet vacuum cleaner can solve your problems and let you enjoy your furry friends, even while they’re shedding! 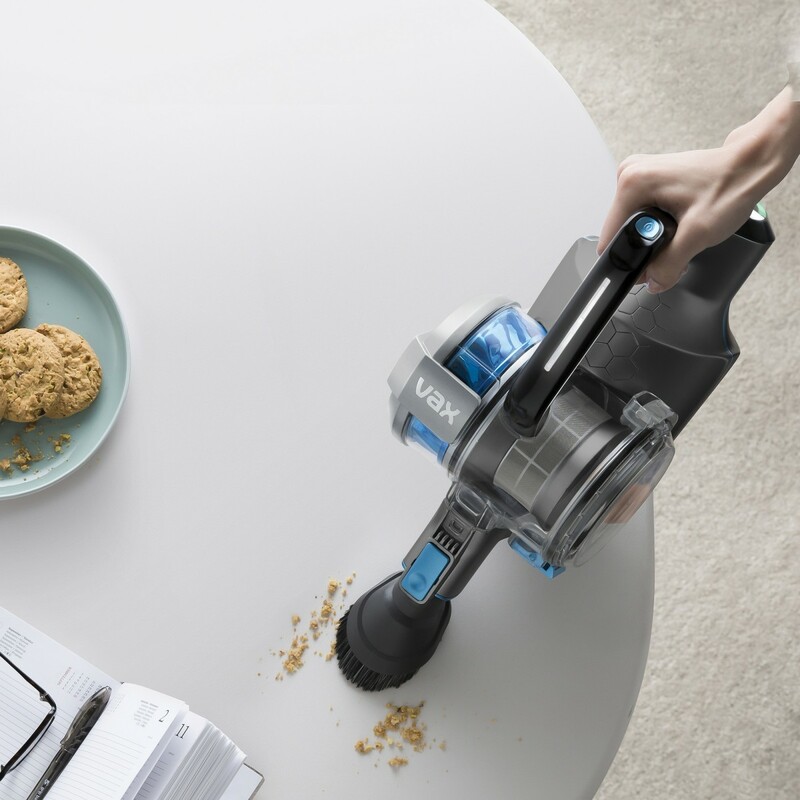 The Vax Blade Pet Pro SlimVac is a lightweight cordless stick vacuum cleaner designed specifically for homes with pets. Helix Technology for three-dimensional support inside the horizontal dirt bin. Up to 45 minutes of runtime. 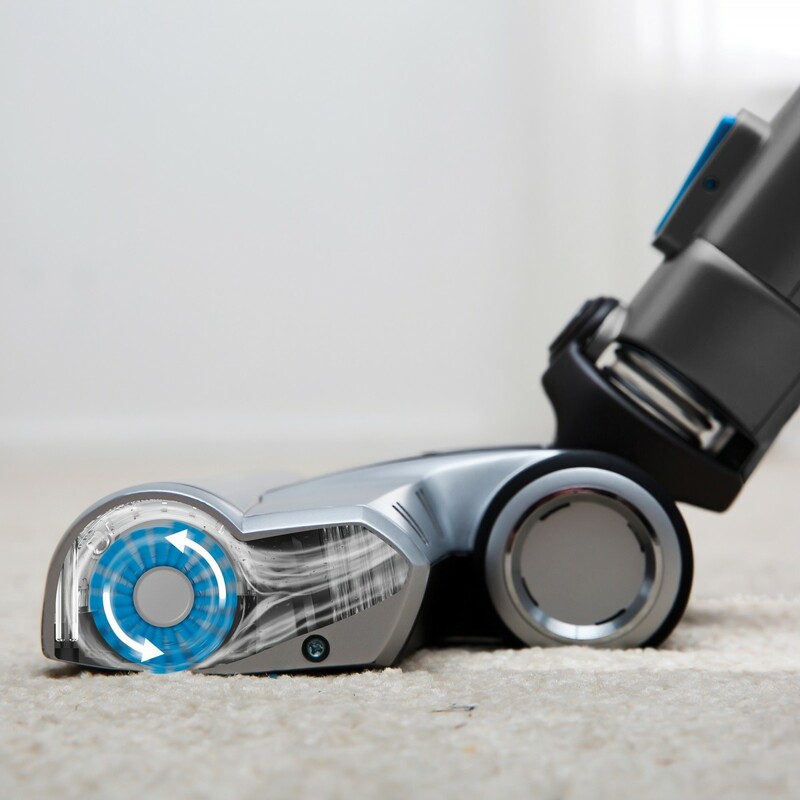 Vax SMART Control for smarter, more efficient cleaning as it informs you of how much power you have remaining. Boost mode to instantly increase power at the touch of a button. Bonus Blade Kit via redemption. Terms and Conditions apply. 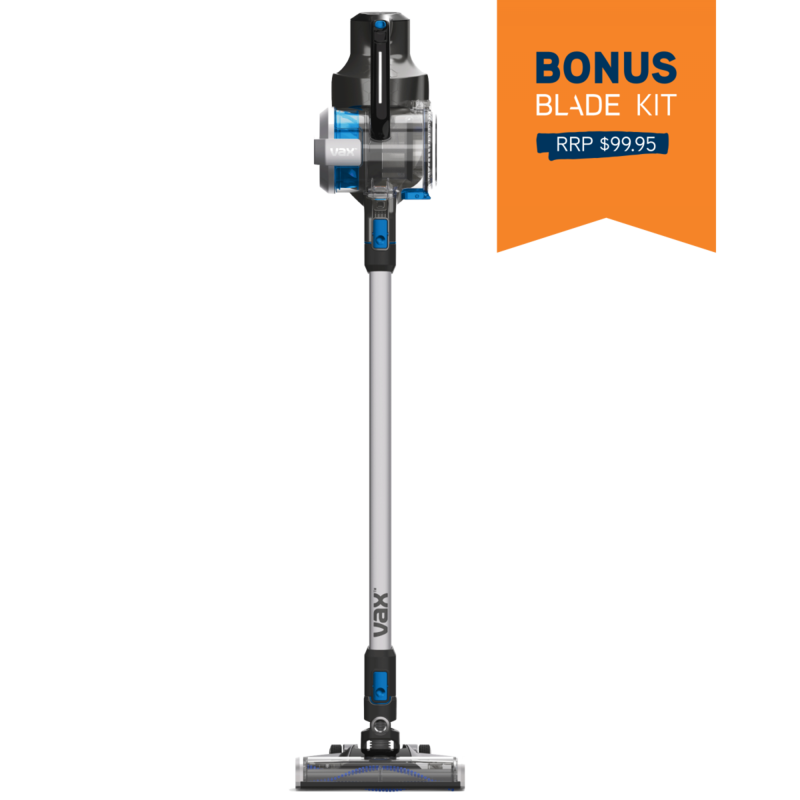 The Vax Blade Cordless will effortlessly glide across floors and much more. Our innovative detachable handheld is perfect for stairs, pet hair removal, cars and upholstery cleaning. 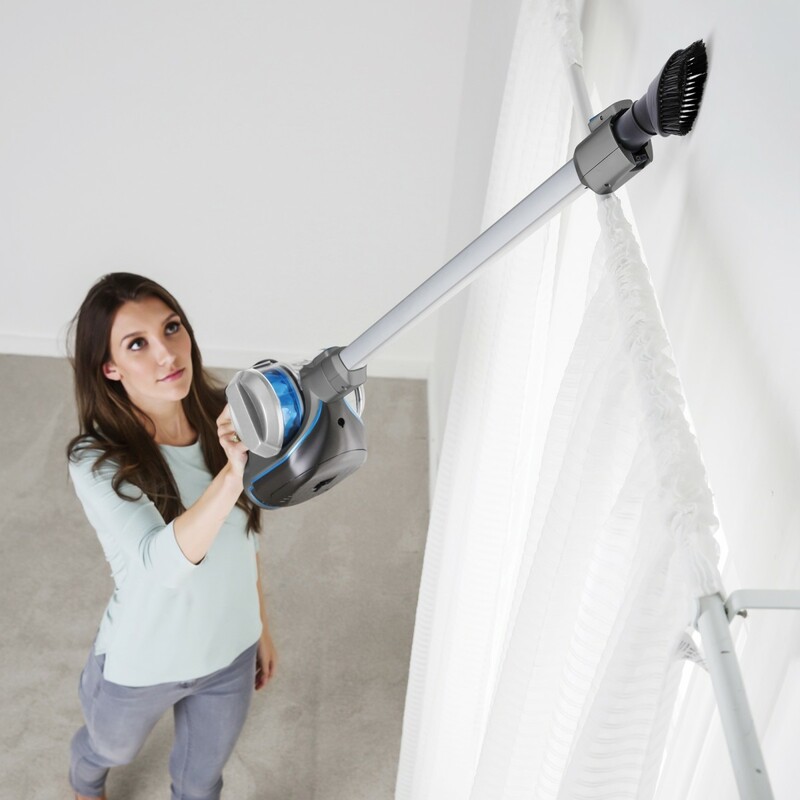 The cleaning wand is ideal to elevate into those hard to reach areas whether up high, down low, or in-between. 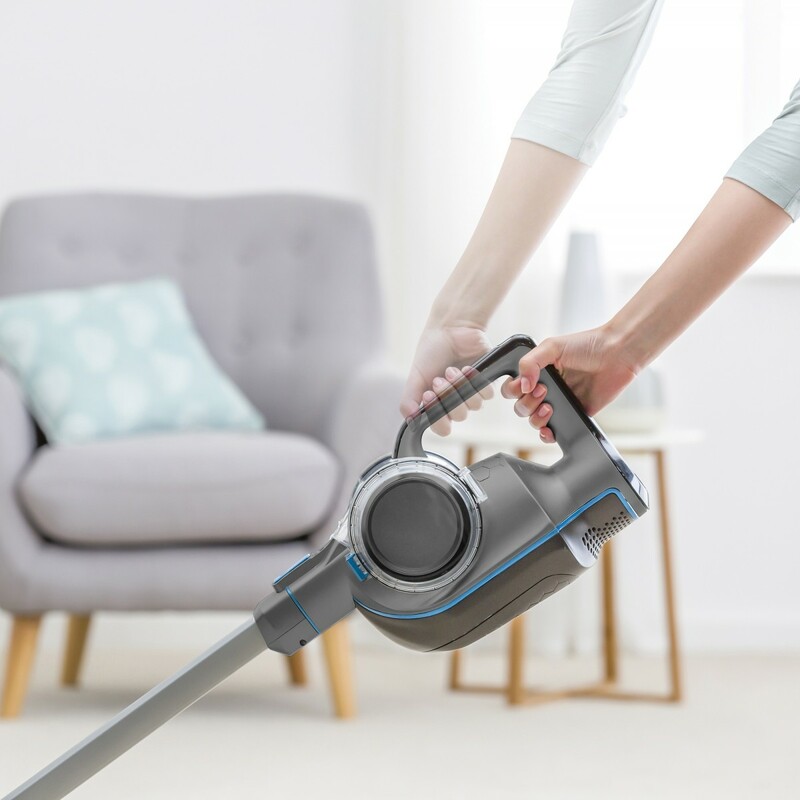 The Lithium battery carries a 45 minute runtime that’ll provide a constant high level of cleaning performance throughout; giving you enough suction power and time to clean your whole home without re-charging. The innovative Vax SMART Control™ dial is designed to offer a smarter, more efficient way of cleaning instantly informing you of how much power you have left. Extra suction power for picking up stubborn dirt, pet hair and for use in high traffic areas around your home. For the full 45 minute runtime, switch to normal mode. 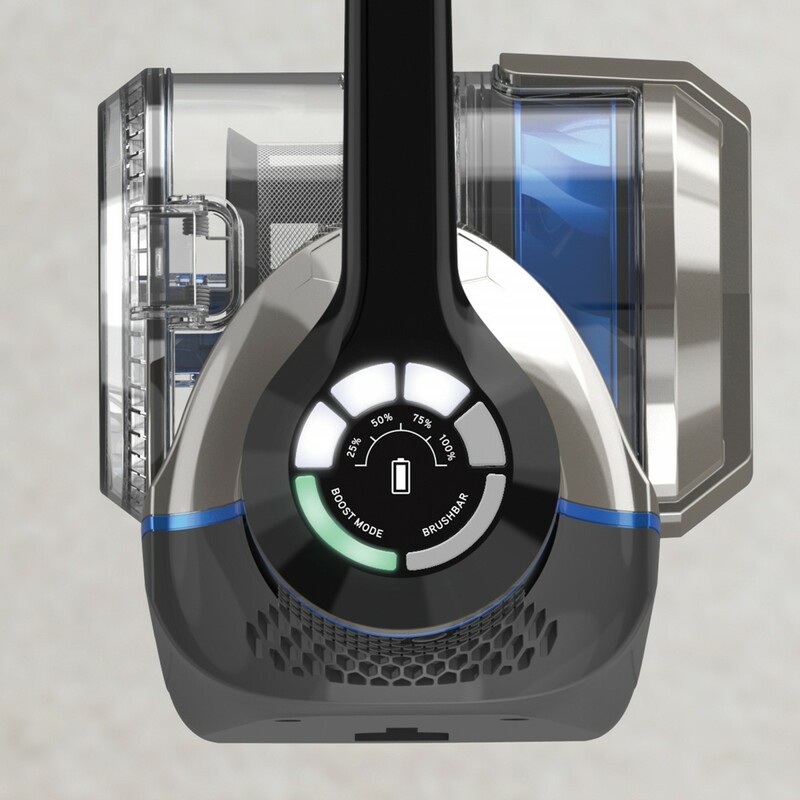 This gives you enough power to clean your whole home in one go. Our unique horizontal cylinder is specially designed to provide a balanced feel whilst optimising performance in any cleaning orientation, this combined with the multi handle position on the handheld offers a comfortable, lightweight experience, allowing you to tackle those tricky to clean angles with ease. 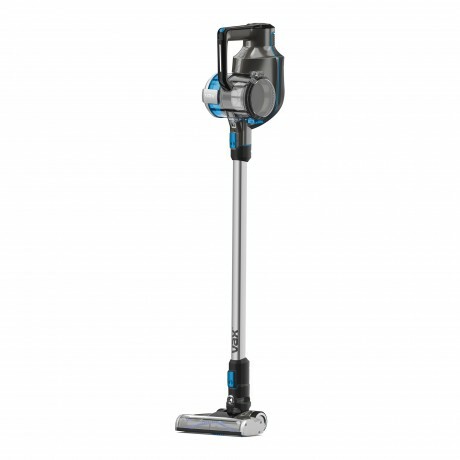 Vax Blade Pet Pro Cordless Handstick Vacuum Cleaner is rated 4.4 out of 5 by 293. Rated 5 out of 5 by Trishy from Great Power I love the Vax, I have only ever had 2 stick vacuums and both have bean vax, the 1st lasted about 8 years and is still going, given to a friend after I bought the pet pro...... fantastic machine ans so many accessories that all work brilliantly.. I have no problem with the overall work of this machine... how ever to make it better I feel the plug for the power cord could be in a better place I find it hard to plug in being under the machine and also the the power head brush I feel should be better accessible for cleaning as undoing 3 screws is a tad annoying....but apart from those 2 things I love this machine and use it every day. Rated 5 out of 5 by green_comet from Excellent Vacuum Excellent stick vac for the money, very happy with the performance, suction and power brush is excellent, the build quality is also very good. The downsides are that it's a little heavy, it seems manageable at first but after holding it for a while your arms will get tired. The wall mount is also a bit too simple, just a piece of plastic with no integrated charging (so you need to mount it and then plug a power cord into the vacuum), there's no place to mount the vacuum attachments. Other than that I very highly recommend it, great value for money. Rated 1 out of 5 by Caracara from On to our third replacement Purchased in March and had to return after one week of moderate use as the rotating brush head had seized and the plastic had been worn away by friction meaning the whole brush needed replacing. Replaced with a unit that worked for the past 6 months until we experienced the same problem last week. We are on to our third unit now and while the functionality is great for our needs (small unit with two people and a dog, used every other day to keep things fresh) there may be a manufacturing/design issue that needs addressing. 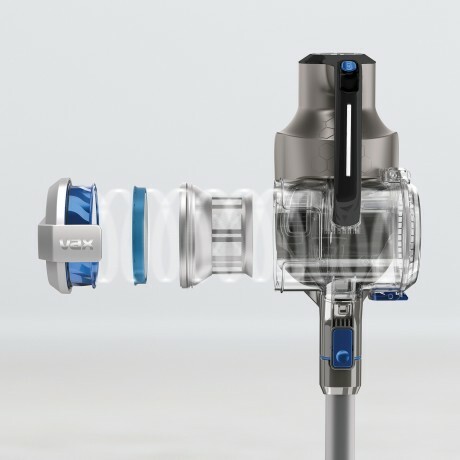 Rated 5 out of 5 by Mary87 from The Best Coirdless Vac - That's VAX BLADE! 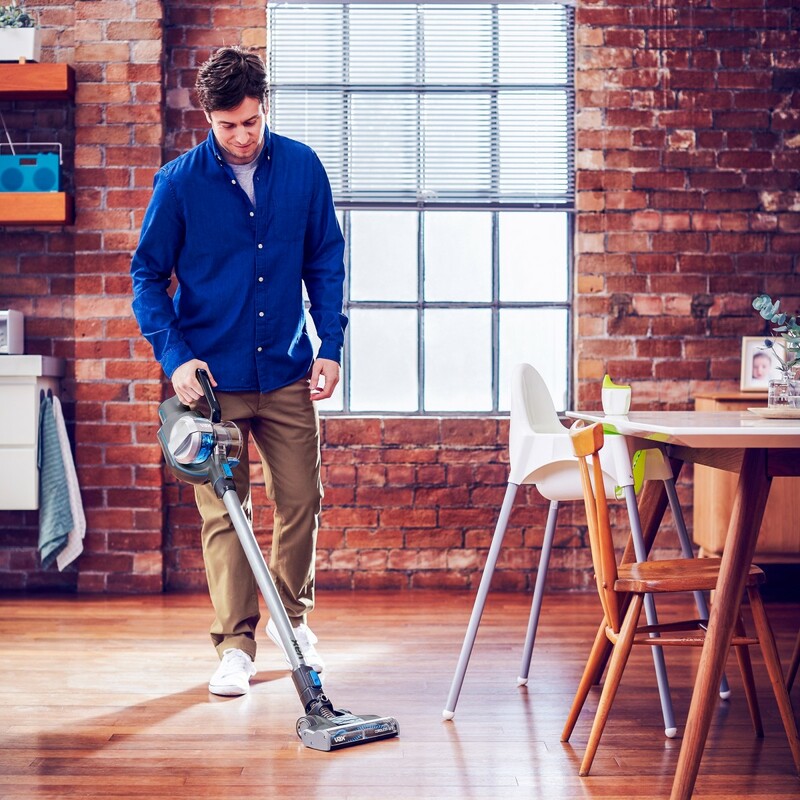 I have considerable experience with cordless vacuum cleaners and I thought I had the 'best' last time I purchased. How wrong was I! After a disappointment with my 'best' cordless vac I purchased a Vax Blade on your 100 day offer. Wow! This is certainly THE BEST! I have animals in the house and the Vax Blade copes brilliantly with dog and cat hair. Also the price is wonderful. After I purchased the Vax Blade I received four more attachments which are all very useful. I find the Vax a bit heavier than the previous cleaner but the wheels make maneuverability so easy. Congratulations on your product. Rated 4 out of 5 by Julie3931 from Great little Vac I've been wanting a Dyson cordless vac for ages, but couldn't really justify the cost. I saw the great reviews on the VAX and decided to bite the bullet and buy it. I am so pleased I did. It is super easy to use. I have pets and it picks up pet hair from carpets and rugs with ease, even on the standard setting. 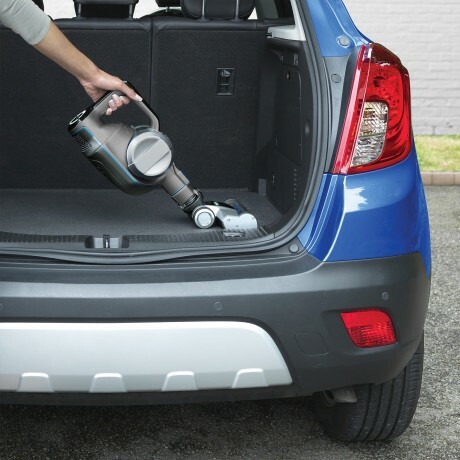 it is so light and easy to manouveur, it makes vacuuming an enjoyable task! The only negative is that the connector to charge the unit is a little fiddly to plug in. Rated 4 out of 5 by Wetta from Vax blade cordless vac I bought this about a month ago and am very happy with it. Its suction is great. I like most its flexible suction head which is very easy to manuver. I like to see two things improved , a wall mounting bracket with charging contacts so you dont have to manually plug the charger every time and removable plug in battery so you can keep a spare battery charged stand by. Also at times releasing the vac from the solid tube can be fiddley and like to see it improved. That is the only reason i am giving 4 stars. Other than those it is well built and high quality. I certainly recommend it to anyone. Rated 5 out of 5 by Swick from Great product at a great price Purchased this vacuum as a quick down stairs option to collect dog hair off the tile floor! It works a treat and so easy to get out and vacuum the floor. Have actually found its better then our full size vacuum cleaner so we have started using it for the whole house. Def would recommend to people who want a hassle free option. Rated 4 out of 5 by Invt51 from In love Incredibly handy when I to give the house a quick tidy-up. I use my VX63 to vacuum common areas maybe three times a week, and will do the whole house weekly. (4.5 bedrooms, 2 bathrooms). It is a little on the heavy side, but the battery's running time and powerful suction makes up for its weight. On full charge, I am able to vacuum the whole house (alternating between Boost Mode on and off). It also would have been helpful for the attachments to have come with some sort of storage bag, at the least. Very, very happy with my purchase. Hi, i have a vax blade pet pro . I was using it when suddenly it stopped working. We've cleaned &amp; charged it hoping to fix but it did not. When you press the power button it will just light up for a few sec &amp; then off. Hope you can help me. Hi Team, I have just purchased a Bad Blade Pet Pro and was hoping to find out if there is a way to remove the brushbar for cleaning (it's wrapping up all my long hairs!). Thank you!! Hi! Where can I order a new wall hanger for my vax blade pet pro?